Montenegro Directorate of Youth and Sport, a government body, inspected the documents and accounts of 13 sport federations and 7 clubs. 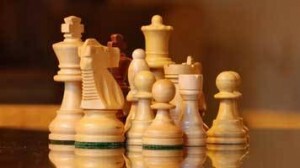 The inspection found that the Montenegro Chess Federation broke the law during the organization of 2013 European Youth Chess Championships in Budva, “Sahovska Hronika” quoted the Montenegrin News Agency MINA. Inspector for sport Branislav Ivanović said in a statement that the organization rights were transferred from MCF to NGO Potez without the approval from the MCF Executive Board. Further, there is no contract between MCF and Potez, nor reports about the number of participants and finances. The Montenegro Government was not asked for approval to organize the Championships, which goes against the state Sports Law. In a full report, available on the Directorate of Youth and Sport website (scan, PDF), the inspection called on police investigators and prosecutor’s office to look into the matter. Last month the protests from country’s top players and clubs forced the Montenegro Chess Federation President Vladimir Sakotic to resign. Sakotic is also Executive Director of European Chess Union. ECU President Silvio Danailov referred to Sakotic as a “Saint” in Twitter post. Chessdom asked for a comment from Joran Aulin-Jansson, who is nominated for the post of ECU Deputy President on Danailov’s ticket. - A. To terminate the contract of Mr. Sakotic as the Executive Director of the ECU with immediate effect. - B. To set up an independent Commission to investigate the actions of the Executive Director and to clarify whether ECU receipts were misused in events which involved Mr. Sakotic or his family. Mr. Danailov didn’t comment publicly.